Subj: Re: That Doesn't Necessarily Have To Do With The LAWS, Though. Chicago is mostly gang-ridden, and gangs almost always obtain their guns illegally. 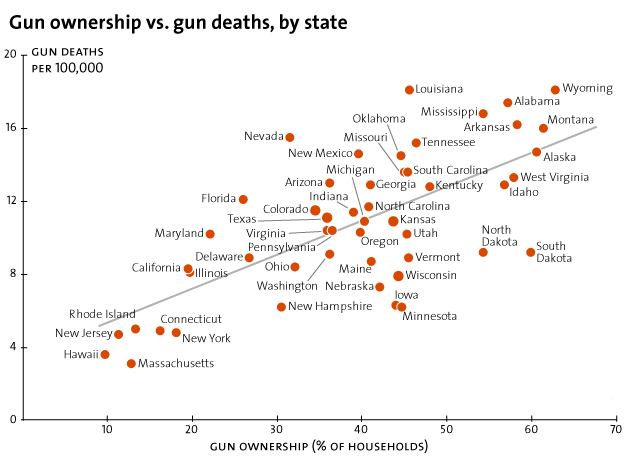 And again, other states have very lax gun laws but low homicide rates. Look at Vermont, for starters. Given as most of the guns are obtained illegally (Or in Chicago is due mostly to gang violence, gangs don't obtain their guns lawfully.). Also, suicides are the majority of gun deaths. Homicides are thirds after accidents. And again, it doesn't all have to do with the laws. California has tough gun laws but they still had that big mass shooting not that long ago.